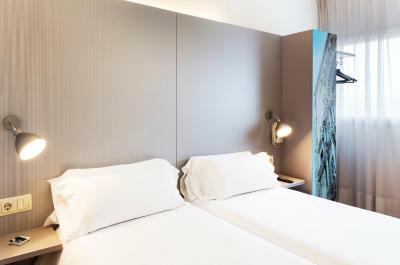 Lock in a great price for B&B Hotel Girona 2 – rated 8.4 by recent guests! 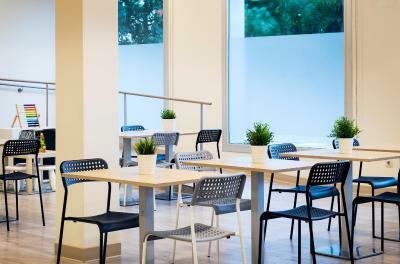 Ample free parking, modern and clean. It’s a short ride into the old city of Girona. 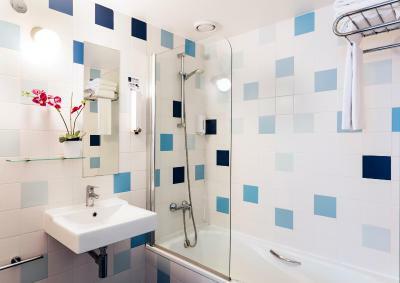 Affordable clean basic rooms. No frills but it was clean and great value for the price. Staff were amazingly friendly, helpful, and warm. I was on my way from my house in Spain back to my home in Switzerland by car. I chose this hotel to stay over-night and continue the driving the other day because it is on the road. Big shopping center in 1minute walk. 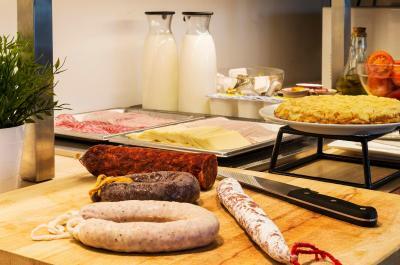 10 min drive from Girona airport. Decent breakfast. It was close to a shopping centre and not too far from Girona old town. 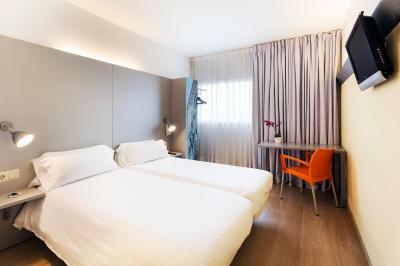 B&B Hotel Girona 2 This rating is a reflection of how the property compares to the industry standard when it comes to price, facilities and services available. It's based on a self-evaluation by the property. Use this rating to help choose your stay! 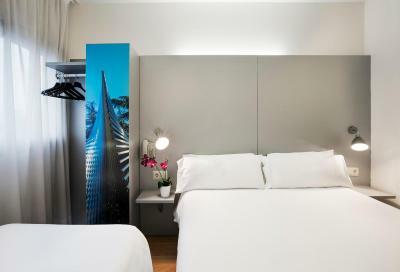 The spacious, modern rooms include a flat screen TV and air conditioning. 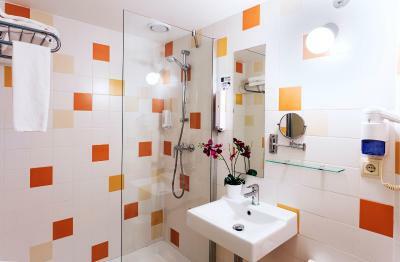 Each has a large bathroom with a bath or shower. Staff at the hotel's 24-hour reception can provide information about what to see and do in the area. 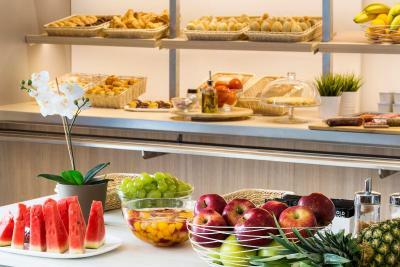 Hot and cold snacks are also available from vending machines in the lobby. 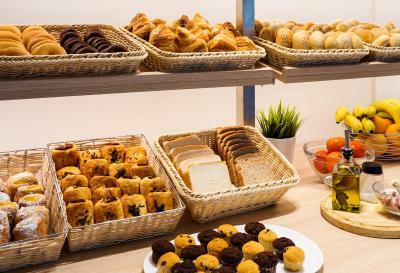 Its close proximity to the border with France, as well the dynamic and cultural city of Girona, makes the hotel an ideal place for a stop over. 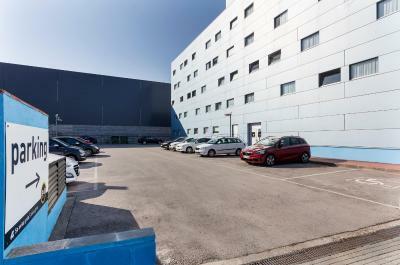 Girona Airport is just 10 minutes' drive away. 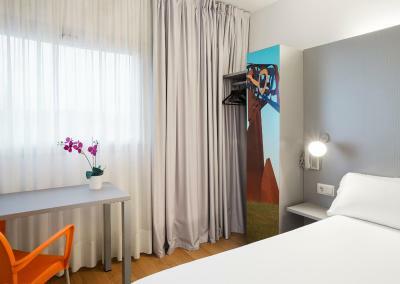 When would you like to stay at B&B Hotel Girona 2? 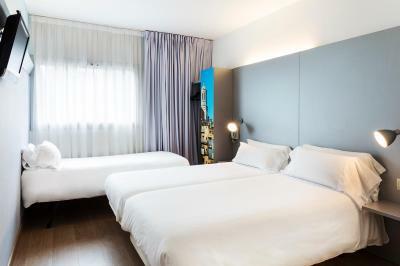 This spacious and modern room comes with 1 double bed. It is equipped with free WiFi, a flat-screen TV, air conditioning and heating. The bathroom has a bath or shower. 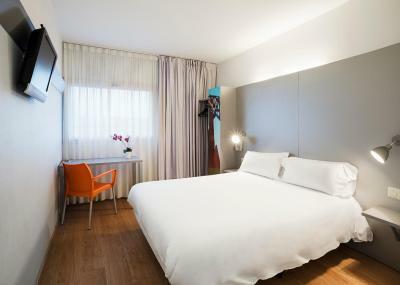 This spacious and modern twin room is equipped with free WiFi, a flat-screen TV, air conditioning and heating. The bathroom has a bath or shower. There are 2 single beds, each measuring 31 in across. This spacious and modern room includes free Wi-Fi, a flat-screen TV, air conditioning and heating. The bathroom has a bathtub or shower. 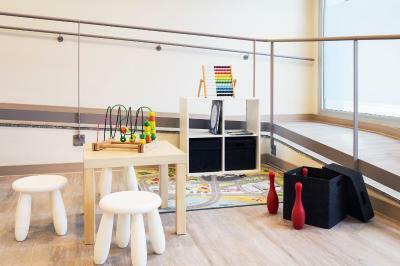 Accommodates 2 adults and one child. 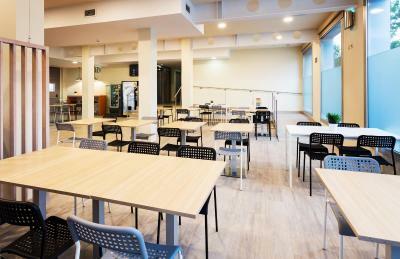 In Sidorme Hotels your rest and you are the most important. A team of people is at your disposal to make you feel at home and to enjoy the Sidorme's experience. Our hotels are comfortable, modern and economic. You'll have everything at your reach, everything you need at the best price without renounce the quality. 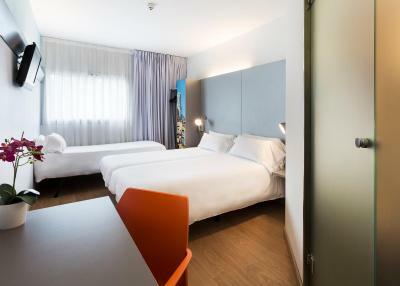 Our rooms are modern and functional, our cheap hotels are the perfect place for both business and pleasure. Discover us, we wait for you with a smile. 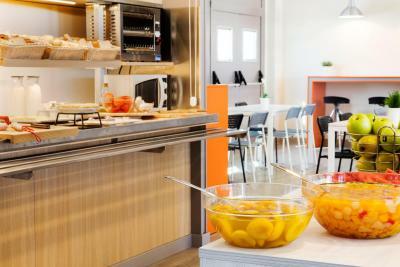 House Rules B&B Hotel Girona 2 takes special requests – add in the next step! 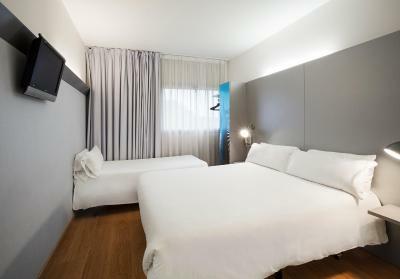 B&amp;B Hotel Girona 2 accepts these cards and reserves the right to temporarily hold an amount prior to arrival. 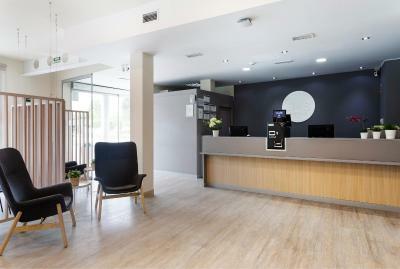 B&B Hotel Girona 2 accepts these cards and reserves the right to temporarily hold an amount prior to arrival. Very clean, close to various markets. 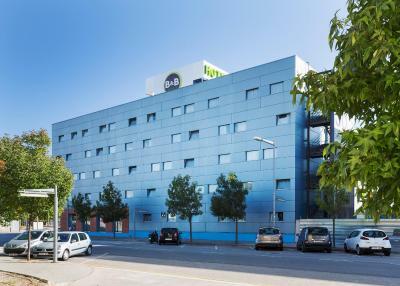 Great location - near to the motorway,very clean, comfortable bed, breakfast was good, private free parking. I always stay at this hotel when I have travel to this town. It’s not actually in Girona and there is not much nearby. It was fine for us because we had a car. No coffe making facility in the room. AC was not working and rooms were suffocating as Windows were also blocked.